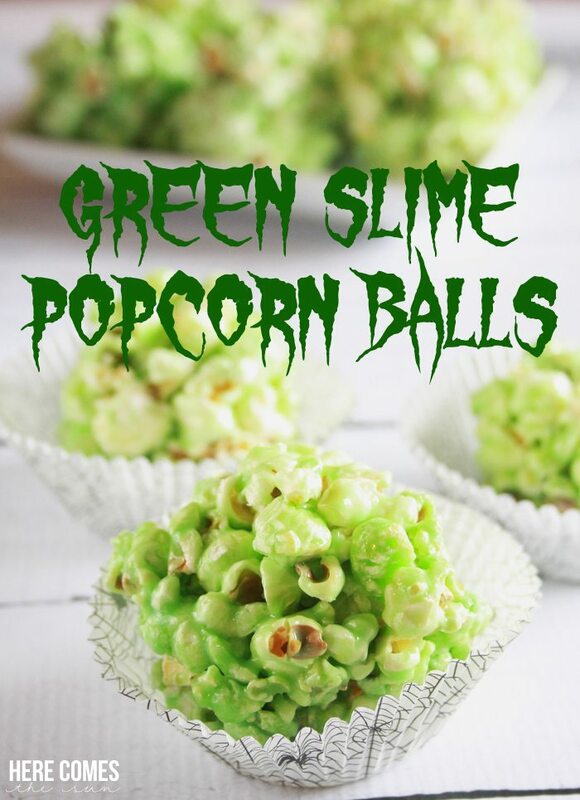 These Green Slime Popcorn Balls are a delicious treat for your Halloween festivities! Soooo… are there any old school movies that you like? My husband found a copy of Ghostbusters in the clearance bin the other day and my son is now hooked. He’s hooked so much that he wants to go as Slimer for Halloween. Dye an old sheet green and I’m done! Score one for mom! And my husband is going to go as a Ghostbuster. I have to admit, it was fun watching that movie again. 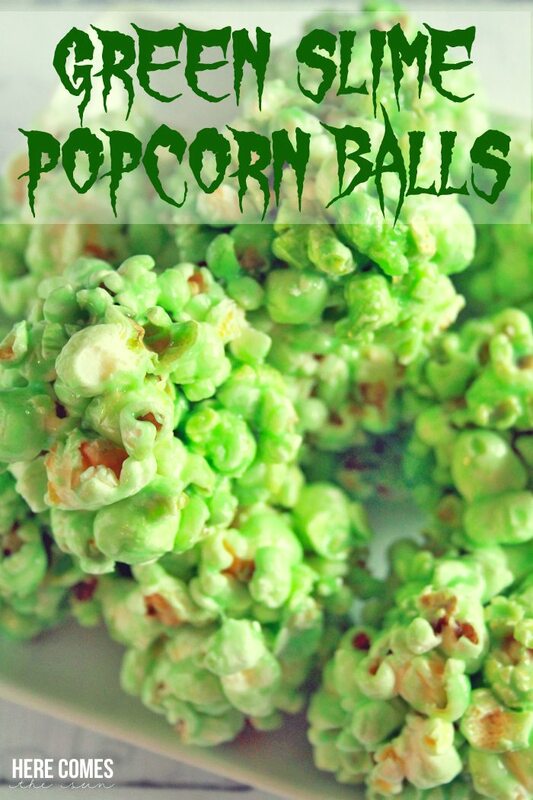 So I made this Green Slime Popcorn Balls the other day in honor of Ghostbusters. 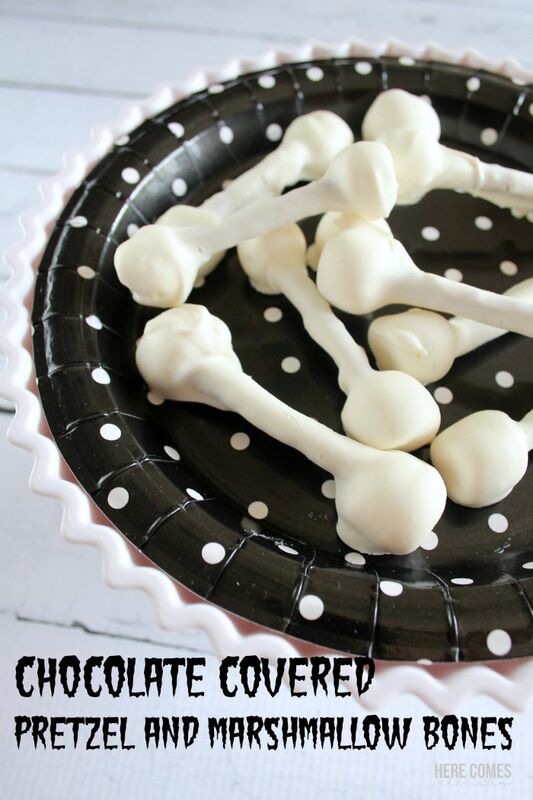 When I am trying to come up with ideas for cute party treats, they need to be simple. I don’t like things that take a whole lot of time. I will go all out occassionally but simple is best. Plus, most people don’t have time to spend all day in the kitchen. 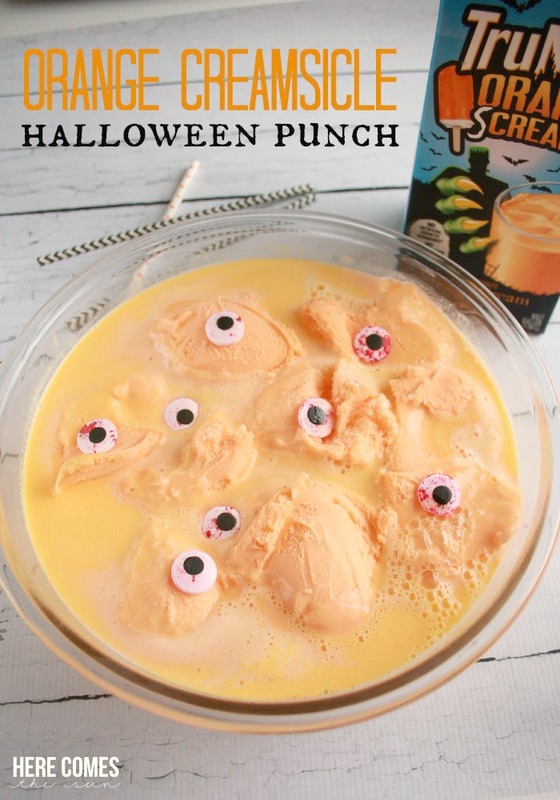 This recipe is pretty basic and I’m sure most of you parents have made it before, you just don’t know that you’ve made it. I think even if you aren’t a parent you have made it because it is just that good. 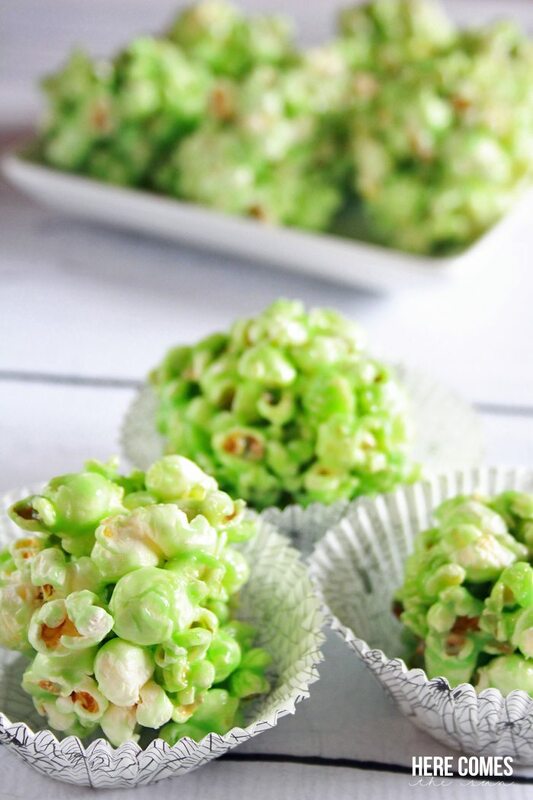 If that recipe sounds a bit like the recipe for Rice Krispie Treats, you’re right. It is. Just with popcorn instead of Rice Krispies. My measurement for the popcorn is a bit vague, I know. I just made a pot full of popcorn and then added it slowly to the marshmallow mixture until all was evenly coated. It’s best if you use plain popcorn (no added butter or salt). I also prefer the good old fashioned popcorn instead of the microwave kind but you can use either one, just no butter or salt. « I’m Launching an E Book!